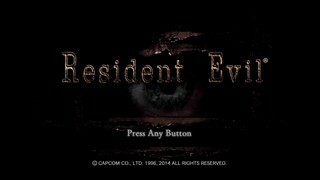 Resident Evil HD Remaster was released to a bevy of modern platforms and PC in January of 2015 with improved graphics, audio and a much coveted change to the control scheme to allow movement based on analog direction. The primarily digitally downloaded game is the Playstation Network’s greatest launch title and Capcom’s most purchased digital game. A remake of the original, it follows Jill Valentine and Chris Redfield trying to locate STARS Team Bravo, then trying to escape the cause of their disappearance. Because there’s zombies… lots and lots of zombies. Hello! Thank you for taking the time to watch my run! This is a highly optimized run of Jill Rocket on PC. The only big time loss was around four seconds and that was due to a mistake I made on the puzzle outside of the shed. Sub 1:16 is possible, but it would be a heavy grind. I hope you enjoy the run!